Our cosmetic dentistry highlights the natural beauty of your smile by correcting discolouration, damage and uneven teeth. Whether you are going for a job interview, attending a special occasion or simply want to get those fillings done that you have been putting off, your experienced Medland dentist at our Brisbane practice will talk you through the most suitable options for your particular smile. If you need crowns, porcelain veneers or dental implant work done, you will be pleased to know that we have an on site, state-of-the-art dental laboratory. Unlike other practices that may send lab work overseas, Medland’s highly skilled technicians meticulously handcraft all crown, bridge and veneer work, as well as splints and mouthguards onsite. The close collaboration between dentists and technicians means that our quality is second to none and we are able to handle all cases with ease – from simple to highly complex. 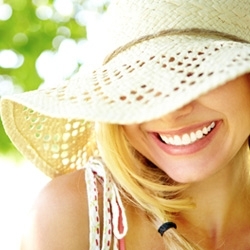 If you want to restore the brightness of your smile, Medland Dental offers two effective teeth whitening options. You can choose to get one dental treatment that gives you instant, long-lasting results. Or you can opt for a take-home, prescription-strength whitening kit that you use every day for a week to get similar results. 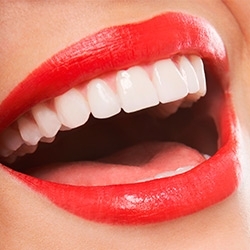 Do you have uneven, discoloured or damaged teeth? Our highly durable and comfortable veneers can help transform your teeth into a perfect and naturally beautiful smile. Your Medland dentist will create perfect veneers for you by working closely with our laboratory technicians to give you the best professional result. If you need to strengthen or restore your natural teeth, then crowns and bridges could be your ideal solution. Your dentist will work closely with our technicians to help produce crowns and bridges that are a perfect fit. Our team of exceptionally skilled Dentists have the knowledge and expertise to lead the way in cosmetic dentistry, taking advantage of the latest technology and techniques to provide the best results possible. We work hard to help our clients develop a beautiful smile. Our cosmetic dentists have a keen interest in new innovative developments in the field, and are always looking for ways to improve treatments and remain at the forefront of Brisbane’s dental industry. If you are concerned about your smile and would like to talk through treatment options, or would just like some advice then contact one of our friendly team on (07) 3426 5777 or fill out our contact form and we will do everything we can to help.